Red Apple Convenience Store, 2000 W. Chicago Ave.
1. 1601 N. Division: Scott Rappe and Neal McKnight met with potential developers of the site. Their revised plans would add 3-4 more floors. Rappe and McKnight will continue to meet with the developers about their plans. 2. Expanding SSA on Damen: Greg Nagel was advised of plans to expand the current Special Service Area on Damen, currently Grand to Chicago, north to Augusta. 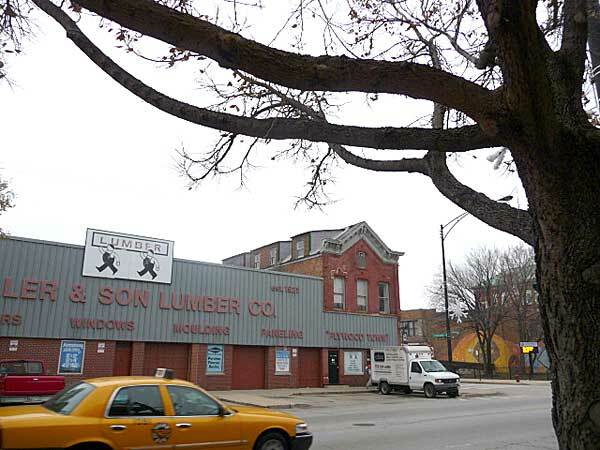 Nagel stated his concern that residents may not want more business on Damen. 3. Ruxbin: Rappe and McKnight reviewed Ruxbin restaurant plans and the municipal code for liquor licenses. Rappe stated that bathroom accessibility is not an issue and a packaged goods license is not warranted. He will suggest Ruxbin add a second bathroom upstairs, creating a lounge with an incidental liquor license. 4. 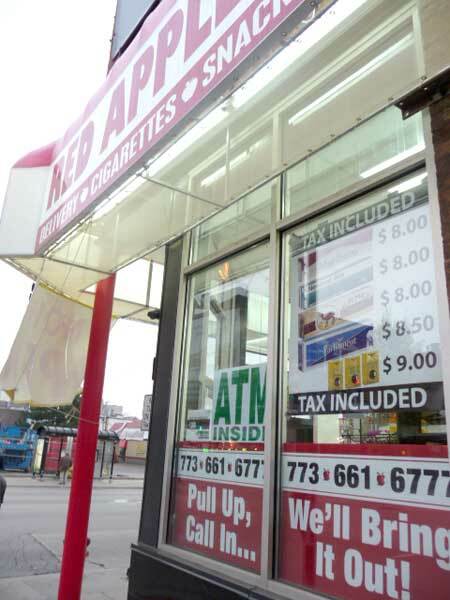 Citgo/Red Apple: The owner is requesting to lift the liquor moratorium to sell liquor at the Red Apple Convenience Store at Chicago and Damen. McKnight stated that the west side of the street is covered only by a tavern moratorium but a packaged goods license may be prohibited by proximity to Dominick's (within 400 feet). McKnight will meet with the Ukrainian Village Neighborhood Association to oppose the request and draft a joint letter to the alderman. Rappe moved to oppose lifting this moratorium, McKnight seconded and the motion was passed by unanimous vote. 5. CVS: The pharmacy posted a sign at 1200 N. Ashland stating that liquor will be sold there soon. EVA and other neighborhood organizations on several occasions have told Ald. Proco Joe Moreno that liquor sales at this site were not desired. However, Moreno went ahead and granted the license. Therefore, McKnight and Rappe will discuss opposition to this action with nearby neighborhood groups and the Polish Triangle working group. McKnight will get the Noble Square block club to come to the Polish Triangle meeting. Then a letter to the alderman will be drafted addressing this issue. 6. Kung Fu Pizza: Rappe stated that the request for Class C zoning was dropped to B-3. EVA issued another letter in opposition to the 13th District closing. Scott Rappe presented a plan submitted for this location: a 5-story building with 42 parking spaces, 52 apartment units and 9,000 square feet of retail. The developers would need a zoning change from B3-2 to B3-3. McKnight expressed concern with the small size of the units, as small as 600 square feet. Rappe expressed concern with the curb cut needed across the street from LaSalle school in addition to the alley. Concerns were also raised about the number of cars being accommodated and the pedestrian access. Current zoning would allow for 24 cars and 4 stories. After discussion, Rappe suggested not granting the zoning change and having the building stay at 4 stories. He will make a counter-proposal and send a letter. Ronda Locke stated in a letter to EVA that Roots Handmade Pizza would like support to expand the loading zone on Chicago to help eliminate the truck traffic. To have signs installed, a permit application must be filled out and then a contractor hired to install them. McKnight will ask Bleeding Heart Bakery Cafe, 1916 W. Chicago Ave., to be our host site for a potluck event at 7 p.m. Monday Dec. 5. The January membership meeting has been changed to 7 p.m. Jan. 9 at Happy Village, 1059 N. Wolcott Ave. The January board meeting has been changed to 6:30 p.m. Jan. 16 at Leona's Restaurant, 1936 W Augusta Blvd.